AI may be the topic du jour, but Justin Flitter, founder of NewZealand.Ai, admits there’s an important stumbling block for many New Zealand companies: Their data. We have the data. Lots of it. We just don’t necessarily have it in forms usable for AI, or indeed, have permission to use it in new ways. Flitter, whose company runs AI education events including AI-Day, says many companies are keen to embrace AI and are starting to look at proof of concepts or solving particular business problems with AI, only to realise they don’t have the data sets ready, or that they don’t have the right data, or the permission to use the data in the way they want to. “There are any number of different capability related issues which then put a handbrake on the development of those programs,” he told iStart. Without a single view of the customer, or the ability to start connecting data sets internally so you can cross reference and create correlations within them, it is hard to understand what a customer has done within your business – leaving machine learning or AI floundering to recommend the best thing for the customer. Unsurprisingly, the issue will fall on the shoulders of senior management given the issues around privacy, ethics and brand perception in the event people’s data is used in ways that they weren’t expecting. While Flitter says New Zealand’s large corporates “have been dealing with this stuff for a long time”, the issue is likely to be more challenging for our mid-market or larger SMEs, who are less likely to have a dedicated human resource, or the capital to invest in new technology. But the news isn’t all bad. Flitter says we’re starting to see data services, from companies such as Intellia, which can automate some of the data science work, enabling companies to take unstructured data sets and – somewhat ironically – use AI to create a consistent structure for the data and tools available that can help process unstructured data without having to have data scientists. 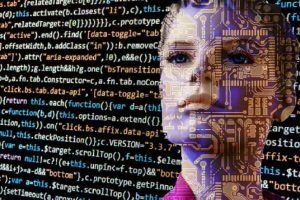 Flitter says AI, for now at least, is largely a top end of town play, giving SME’s time to get their data sorted, including ensuring they have the right data – and permission to use it in the ways they need – but he warns it’s not going away.